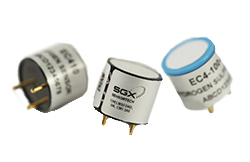 A wide range of gas sensors from SGX Sensortech. The MPEL is an industrial-suited MEMS (Micro Electro Mechanical System) pellistor which has been developed for a new generation of low-power and rugged sensors for the detection of combustible gases, in particular methane. Innovative process technologies combined with optimized sensing and filter materials are engineered to achieve exceptional performance compared to existing products. 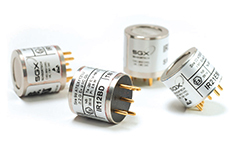 These sensors can provide a significant power reduction, in continuous operation and compared with existing pellistor gas sensors it can be up to 50 percent. 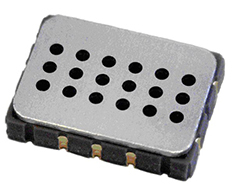 The micron silicon heater design delivers improved resistance to shock, with millimetre diced components this unique structure allows reductions in the sensor size and a large flexibility within the certified package design. • Extreme resistance to mechanical shock. 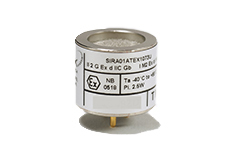 Designed for long-term continuous sensing of CO2 and numerous hydrocarbon gases including vapours in fixed systems, SGX IR sensors are suited for portable instrumentation where shorter term usage is.. Designed to monitor combustible gases up to the explosive limits. These sensors are used both in fixed and portable instrumentation. Because pellistors measure the flammability of a gas, they cannot be used to measure levels of gas above the Lower Explosive Limit (LEL), since the reducing level of oxygen will result in a fall-off of signal. However, a similar device can be used to monitor these high levels of gas, the themal conductivity pellistor. We have a range of thermal conductivity sensors, which are designed to complement the pellistor range in terms of electrical characteristics, so that they can be used in the same Wheatstone Bridge circuits. They are supplied with a compensator bead which is in a sealed enclosure of air. This enclosure acts as the thermal conductivity reference in exactly the same way as it acts as the reference for a pellistor. Thermal conductivity cannot be used for gas mixtures where the thermal conductivities of the two gases are similar. The best example of this is oxygen levels in air, as the thermal conductivities of oxygen and nitrogen are too close to give a meaningful signal. SGX has a proprietary MOS technology utilizing state of the art MEMS technology, combining a specialized nano-particle sensing layer with a patented poly-silicon heater. This unique design creates a highly sensitive and responsive semiconductor sensor, manufactured on an automotive production line for outstanding quality and performance. These sensors are easily capable to detect and measure combustible and pollution gasses in parts per billion (PPB) and are suitable for many environmental, automotive and industrial applications worldwide. Suitable for measurement or alarm warning applications. Electrochemical sensors work on a different principle from the pellistor and IR devices. With electrochemical sensors the target gas undergoes a chemical reaction, producing a current that is directly proportional to the concentration of gas present. 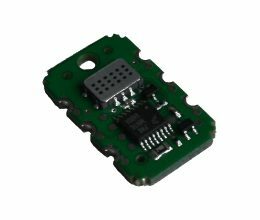 The sensors use very little power and show good responses to various gas concentrations over a wide range of ambient conditions. 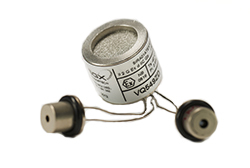 A range of 20 mm electrochemical sensors is available for several toxic gases including Carbon Monoxide ,Hydrogen Sulfide and Oxides of Nitrogen and Sulfur. These sensors are ‘drop-in’ replacements for existing sensor types in this size. The range of toxic sensors is complemented by the EC410 , RoHS compliant, Oxygen sensor. 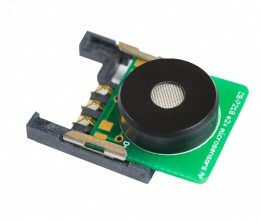 This unique sensor contains no lead, has a greatly increased life span and is of significantly lower mass compared to other Oxygen sensors of this size. The sensor contains no consumable components. 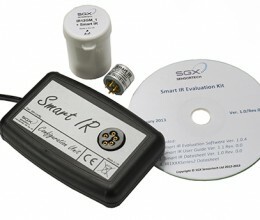 The evaluation kit allows the user to get started quickly in gas sensor instrument design using gas sensors from SGX. Simply attach the universal power supply, connect to a PC USB port and plug in the appropriate gas sensor. The SGX data logging and control software allows the performance of the gas sensors to be assessed and makes it easy to capture performance data. Users can experiment with different settings before designing their own instrument. This cost effective indoor air quality sensor system (IAQ) allows automatic control of ventilation to ensure the best air quality with the lowest waste of energy.